1. Pick up the deflated balloon on ground on the left side. Select it from your inventory and put it onto the end of the air pump hose. 2. 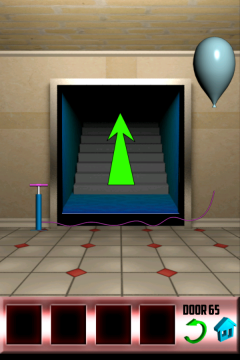 Now press the air pump a few times to inflate the balloon and make it float to hit the green button.